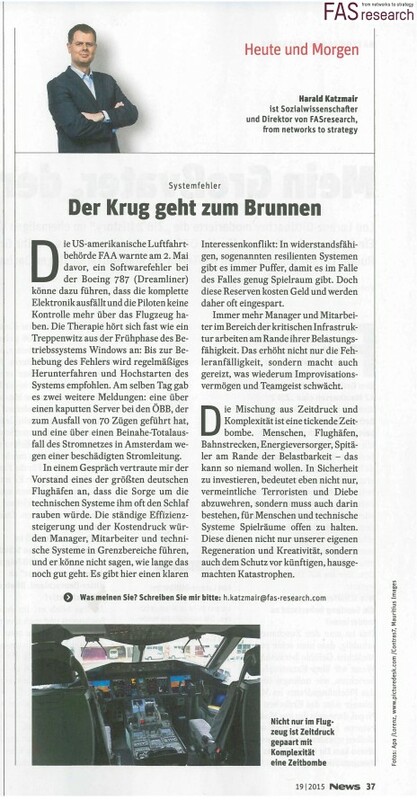 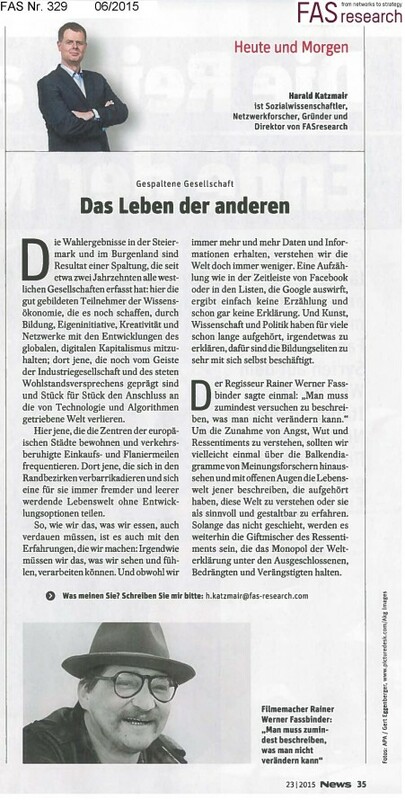 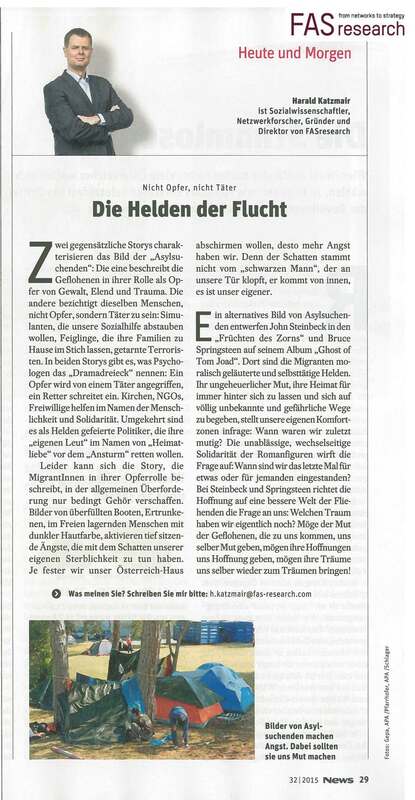 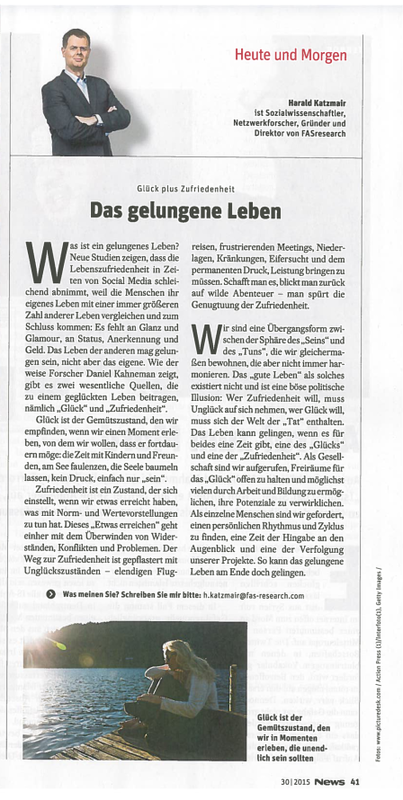 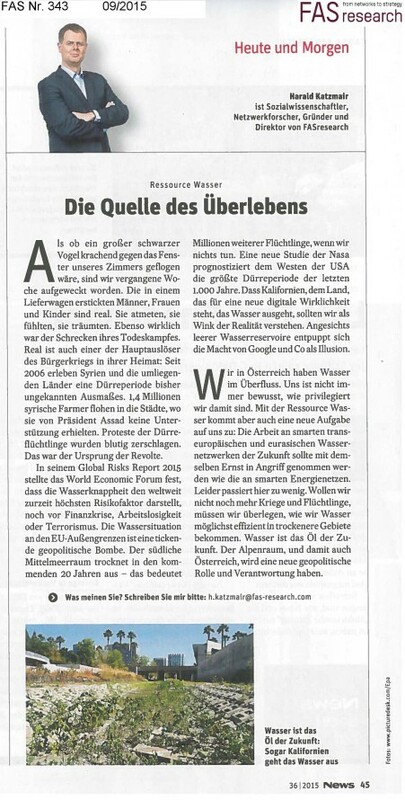 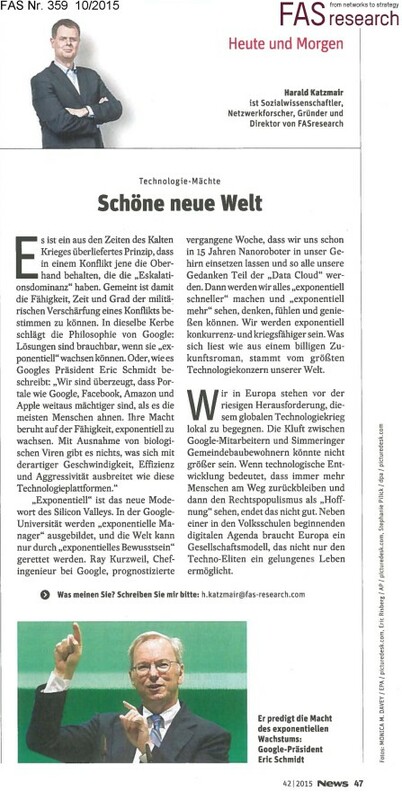 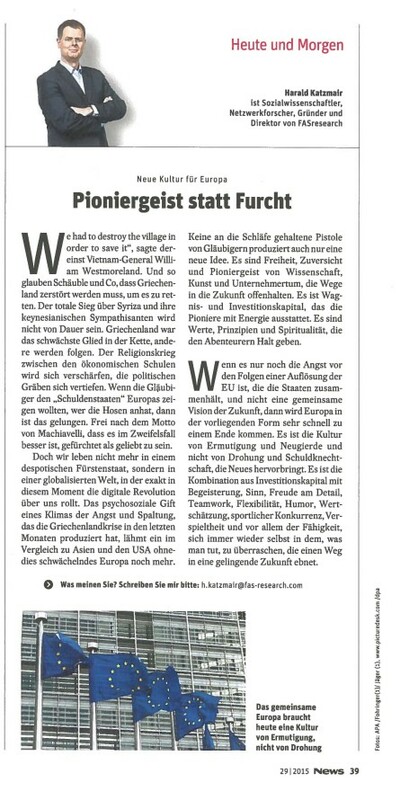 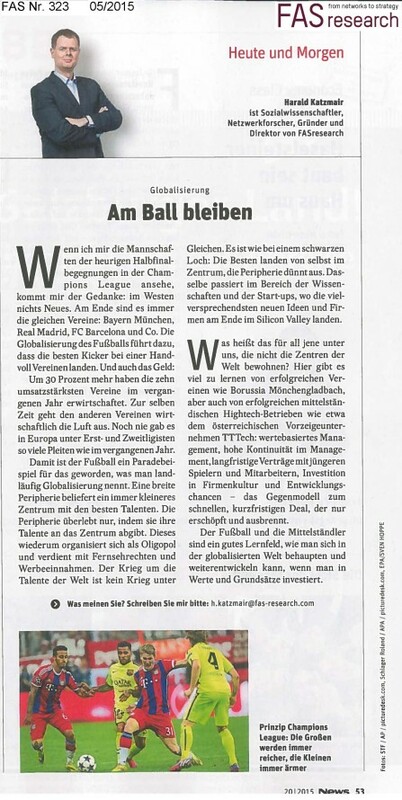 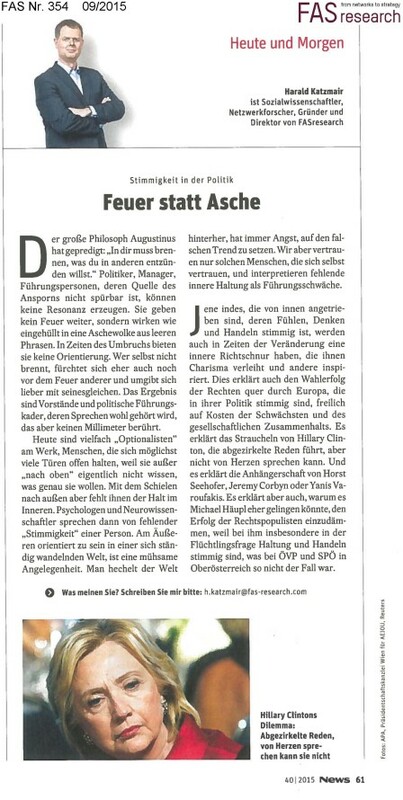 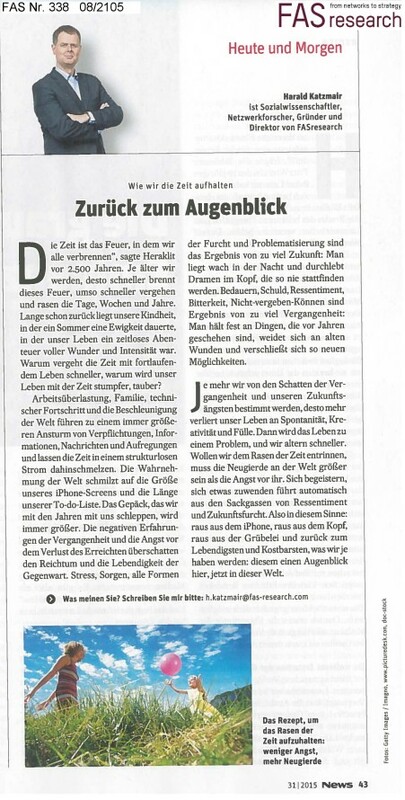 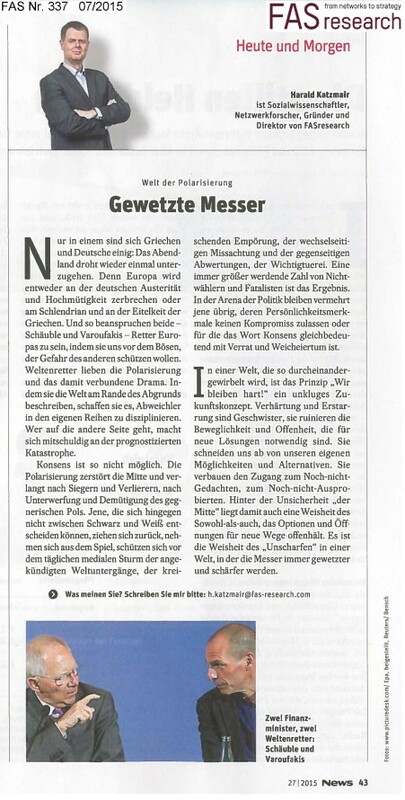 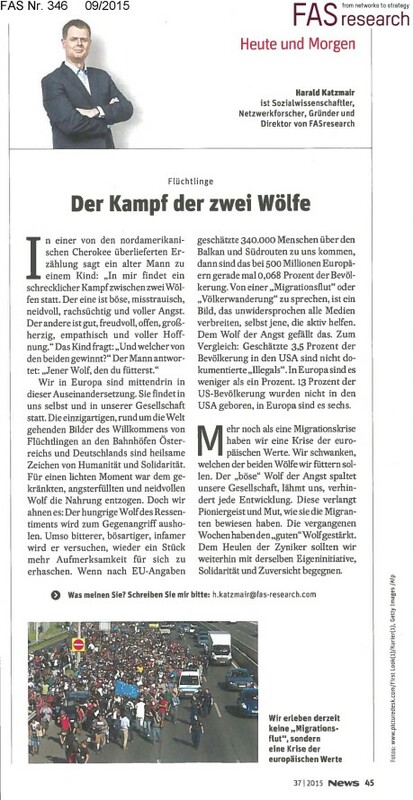 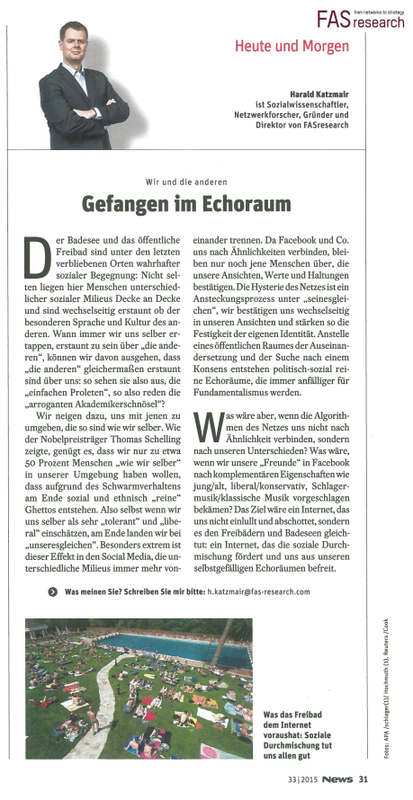 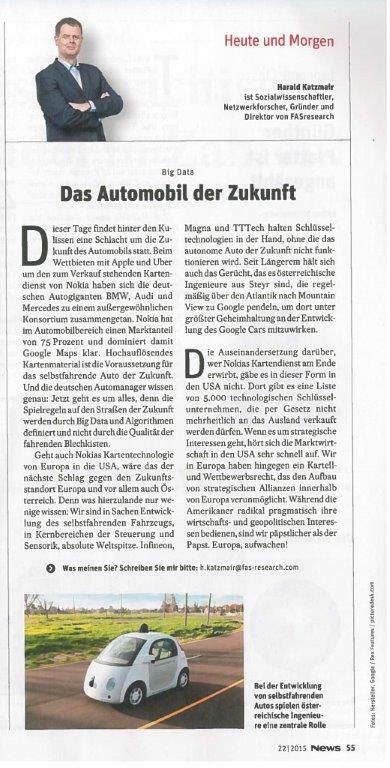 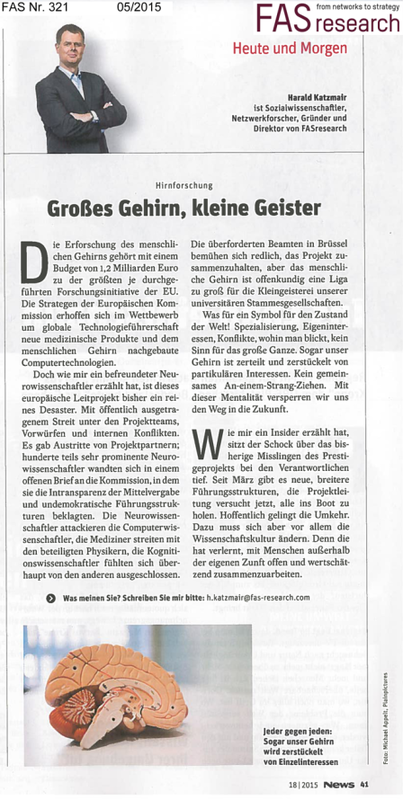 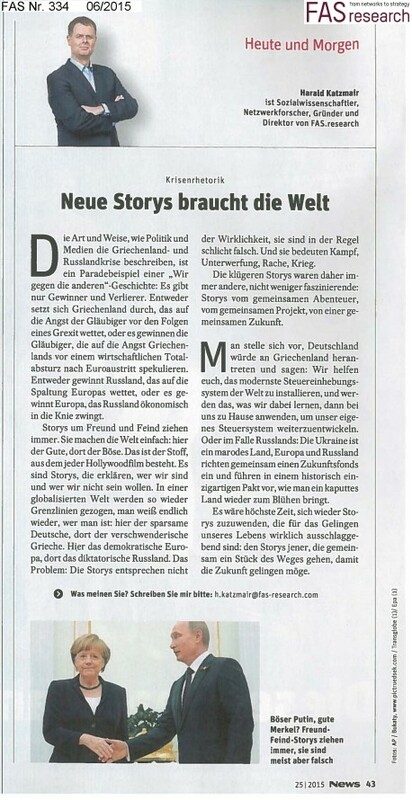 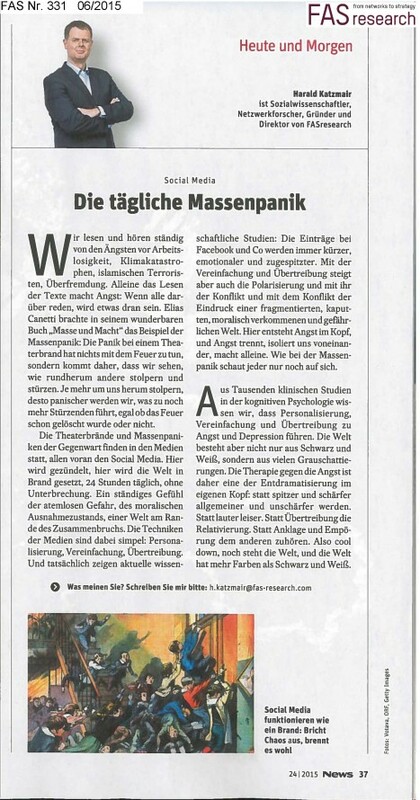 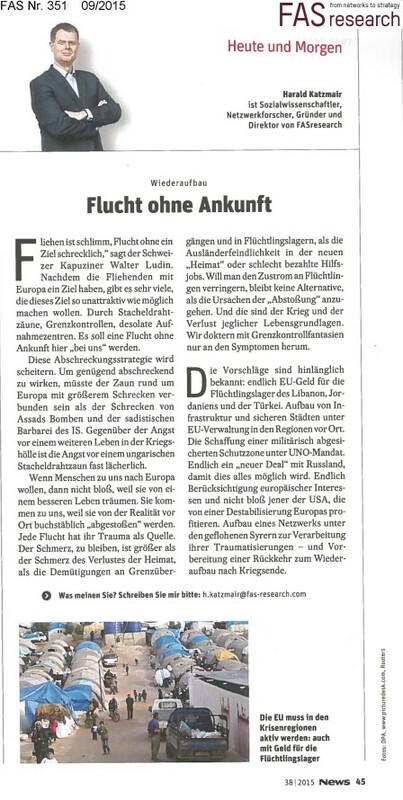 The Austrian magazine NEWS publishes a weekly column “Today & Tomorrow” by Harald Katzmair. 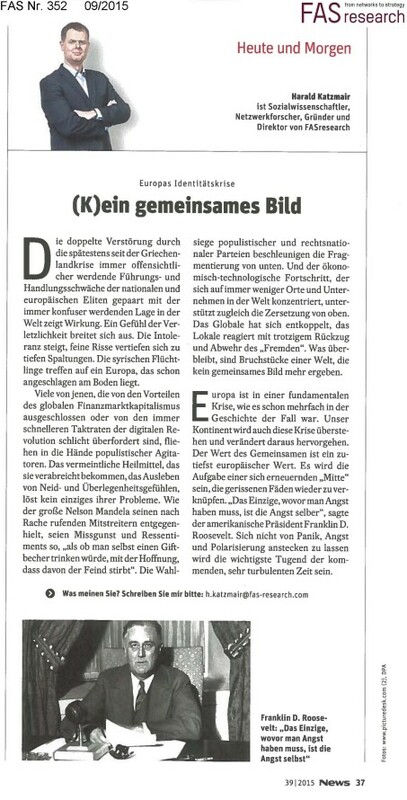 25.07.2015 Fulfilling Live. 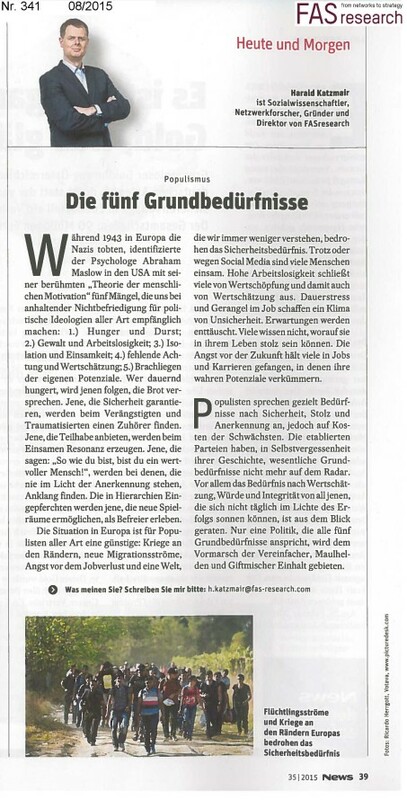 Happiness and Satisfaction.